There are so many many many fun things to share about this weekend.. I did not take many photos myself so I plan to collect (steal) the images and put together multiple posts.. I love reading about blogger meet ups. I cannot WAIT! hahaha... I especially like the VIP Potty Passes!! Hope you all had a blast!!!!!! Can't wait to read all the recaps. I'm so bummed I didn't make it for the group photo. I got to corral 6 at 6:34, but must've missed you guys. Great photo! Such an outstanding weekend! I will have plenty of non-candid pics for you gorgeous!! You are a complete rick star and natural leader. I was so blessed so spend the weekend with you and so many positive, strong women! LOVED IT! 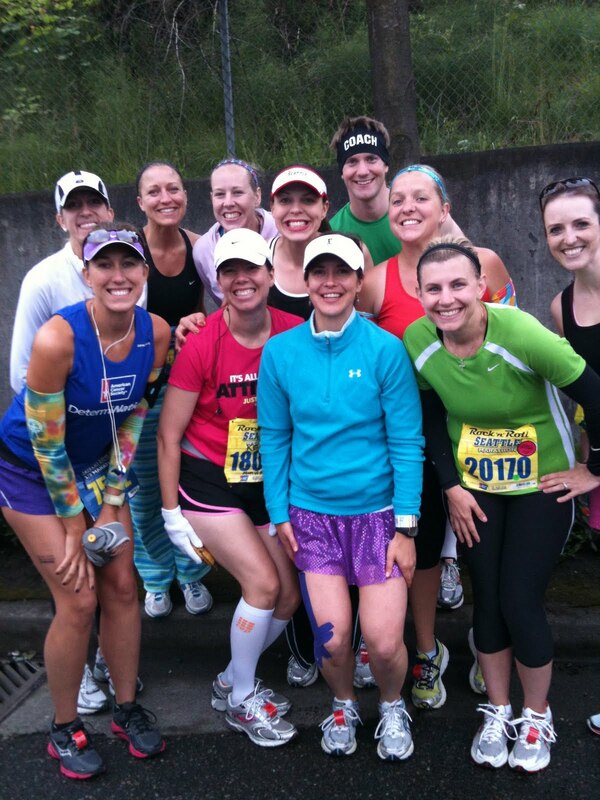 It looks like you ladies had such a great time :) Love seeing these pictures of you all! Got to LOVE VIP Potty Passes! Classic. I this the VIP Potty Passes are about the best idea I've ever heard!